AZBW welcomes Chris Craft Scorpion number two into the Rock The Boat project. This week we were able to pick up the second Scorpion to add to the Rock The Boat project. Glenn Cate and Brad of Scottsdale Marine Center www.scottsdalemarine.com made arrangement with one of their long time customers to donate a 1984 Chris Craft Scorpion to the Rock The Boat project. 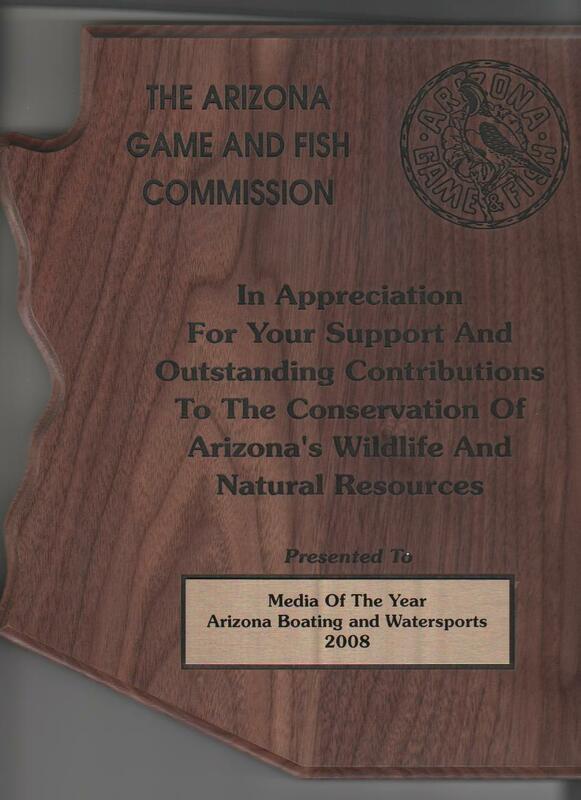 Our thanks to Warner Gable, his family and Scottsdale Marine Center. 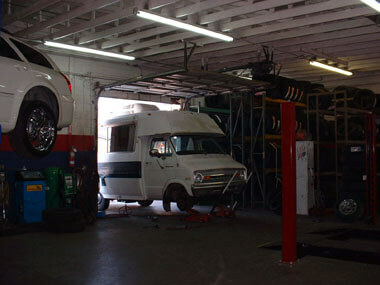 This week found the RTB motorhome at Community Tire for new tires. Community tire put new tires on the motorhome and the trailer for the new Scorpion. 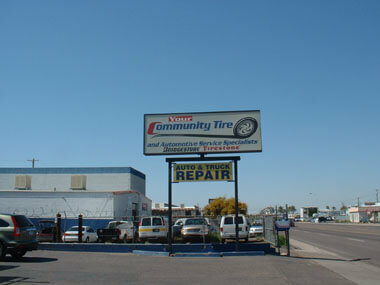 Community Tire and Automotive Specialists www.communitytireaz.com is a family owned tire shop with six locations around the valley. If you are looking for good tire and automotive service with a personal touch go see one of Community Tires six locations. 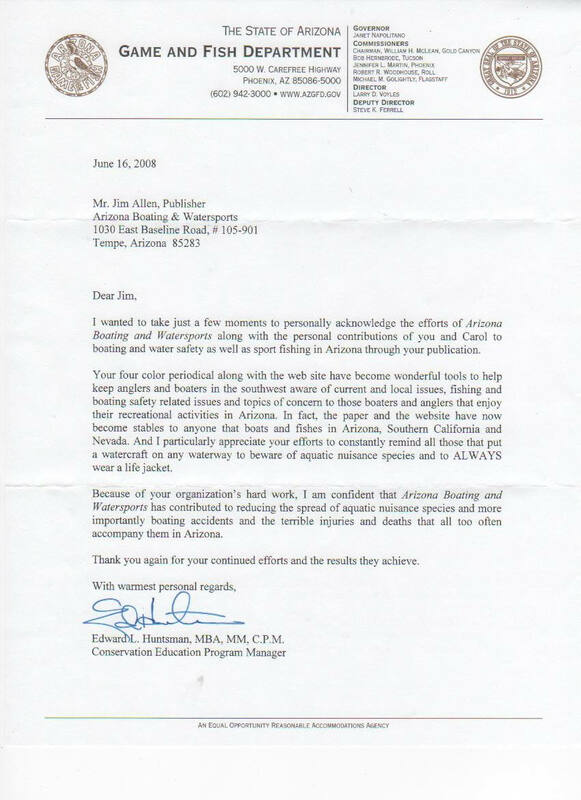 AZBW is proud to have them as a Rock The Boat sponsor. The new Scorpion is now at Randall &apos; s www.viptrailers.com VIP Trailers. 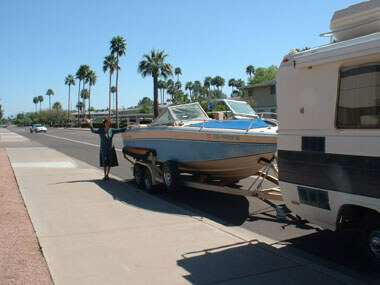 The trailer that the boat came with was made by Randall in 1984. Doug has agreed to refurbish the trailer for the Rock The Boat project. There is a lot you can say about the quality of a Randall Trailer but it pretty much says it all when you can take a trailer back 25 years later and have it refurbished by the same man who built it originally. In next weeks edition of Dinghy Digest we will have a photo of the design the students at AIP have come up with for the RTB motorhome.